Starting this month We R PR Plus is onboard to help launch the new, healthy Shamrock Slam and Jugular Performance Drinks. Many energy drinks on the market have excess amounts of sugar and carbs, however, Jugular’s line of drinks greatly enhance energy and performance with zero sugar and only 3 g’s of carbs. We R PR Plus will present, in conjunction with Shamrock’s upcoming fight, Shamrock Slam and Jugular into the marketplace through Mixed Martial Arts training centers, boxing gyms, health clubs, traditional martial arts studios plus youth and sports organizations as well as high school and college athletic programs. Michael Lajtay (Pronounced “Lay-tay”), the man behind Jugular and Shamrock Slam, is currently meeting with convenience store chains and major retailers to attain mass distribution. 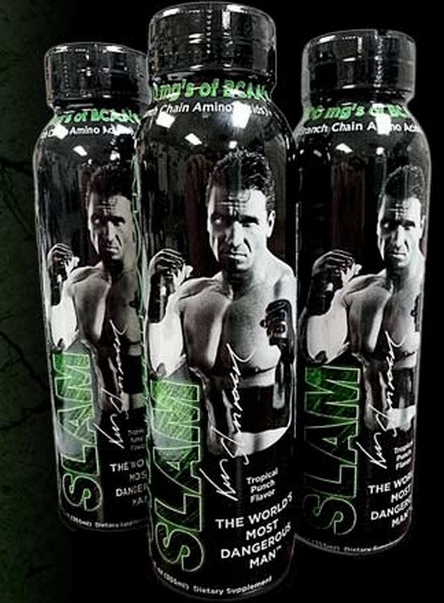 Not only does Jugular have Shamrock Slam, a drink developed in partnership with Ken Shamrock who is a UFC and Mixed Martial Arts legend and was included in Men’s Health Magazine’s List of the 100 Fittest Men of All Time, but Lajtay is also actively seeking to sign some of the biggest names in other major sports such as boxing, football & basketball, among others. We R PR Plus will initially focus on Shamrock Slam & Jugular. The Jugular Performance Drink is unique in the fitness industry because it provides energy and helps to build muscle, strength and endurance. It also helps to decrease muscle recovery time. The Jugular Performance Drink achieves this by including 7,500 mgs of Branch Chain Amino Acids, making it the leader in the fitness industry and has only 5 calories and 1 g of carbohydrates. Shamrock Slam has zero sugar, only 25 calories per bottle and has only 3 g’s of carbohydrates. It is also antioxidant and electrolyte rich. These are technical fitness drinks intended for serious athletes of all kinds.